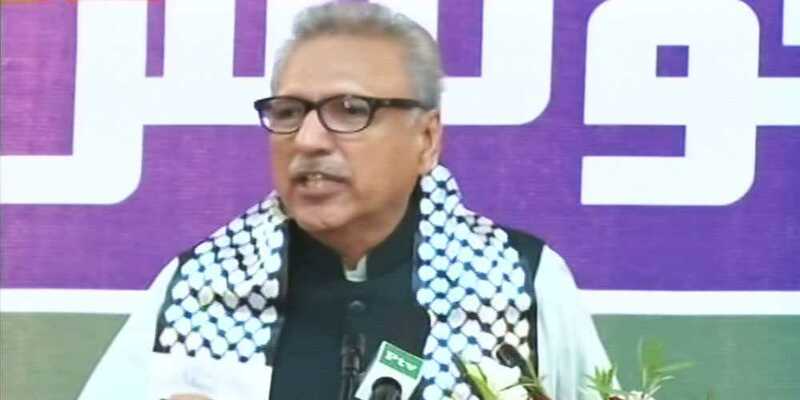 President of Pakistan Arif Alvi on Sunday said that Pakistan successfully eradicated terrorism. He was addressing the 4th Paigham-e-Islam conference in Islamabad. In his address, the President said that world powers appreciate the Pakistan military for eradicating the menace of terrorism. He said Islam is the religion of peace, equality and compassion. The president said through providing shelter to Afghan refugee, Pakistan proved the true meaning of compassion and brotherhood. Minister for Religious Affairs and Inter-faith Harmony Noor-Ul-Haq Qadri in his address emphasized the need for unity in the ranks of Muslim Ummah to achieve the goal of progress in the comity of nations.